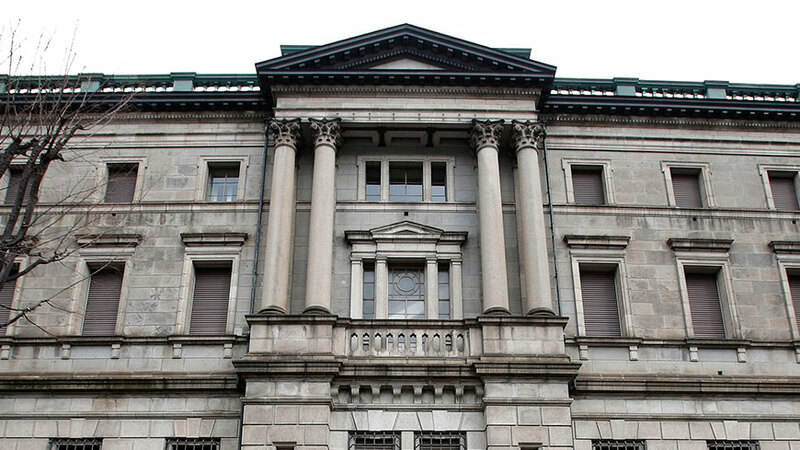 With Masaaki Shirakawa stepping down as governor of the Bank of Japan on March 19, three weeks earlier than scheduled, the process to select his successor is accelerating. Prime Minister Shinzo Abe has made no secret that his choice must share his desire for aggressive monetary policy, sparking criticism that he is trying to erode the independence of the central bank. Who are on Abe’s shortlist? His so-called “Abenomics” economic policy consists of “three arrows” — flexible fiscal policies, drastic monetary policies and growth strategies — to steer Japan out of its decades-long slump. As Abe is pushing for aggressive monetary easing, he will pick a nominee who supports his vision and will strive to achieve the 2 percent inflation target the BOJ adopted last month. Asian Development Bank President Haruhiko Kuroda, 68, is reportedly a leading candidate for the BOJ’s top position. 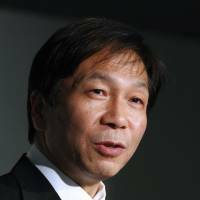 Japan’s top currency diplomat in the wake of the Asian financial crisis in the late 1990s, Kuroda reportedly supports the 2 percent inflation target, saying it has become a global standard. 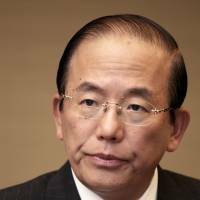 Former Vice Finance Minister Toshiro Muto, 69, who served as a deputy BOJ governor from 2003 to 2008, is a prominent candidate. 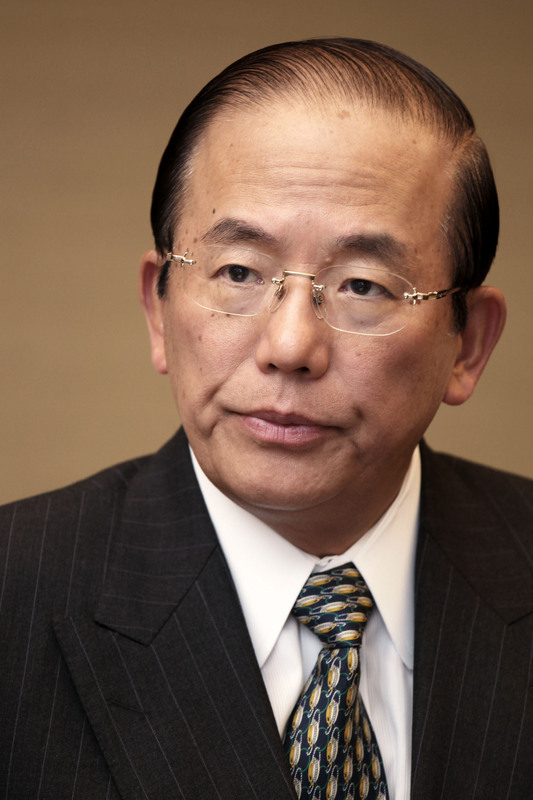 Muto also maintains the position that the BOJ should take bold measures to fight deflation. 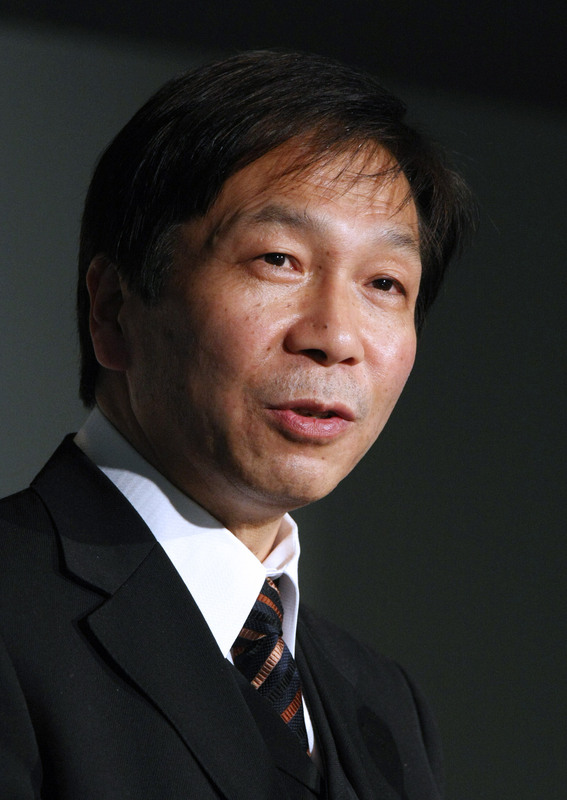 Kazumasa Iwata 66, president of the Japan Center for Economic Research, is another strong candidate. Iwata, who served as a BOJ deputy governor together with Muto between 2003 and 2008, advocates more quantitative easing. Other possible candidates include Heizo Takenaka, who served as finance minister in the administration of Junichiro Koizumi, and University of Tokyo professor Takatoshi Ito, a former deputy vice finance minister for international affairs. 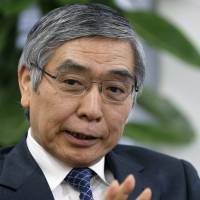 What is the legal framework surrounding the BOJ chief? The nominee submitted by the government has to be approved by both Diet chambers. Once installed, the governor cannot be removed by the Diet. This system was introduced when the BOJ Law was revised in 1998. Under the old law, the Cabinet could appoint the governor and one deputy governor, and the finance minister had the power to replace them. The finance minister’s power to fire the top executives compromised their independence and made them sensitive to the government’s position on monetary policy decisions. Under the current system, the governor and deputy governors serve five-year terms. The Abe administration reportedly plans to submit the name of its nominee to the Diet by the end of this month. Chief Cabinet Secretary Yoshihide Suga said Thursday that the Cabinet will announce the nominee once the ruling and opposition camps agree to change the so-called Nishioka rule, which effectively kills the nomination of anyone whose name gets leaked in advance to the news media. The Nishioka rule came into being under an agreement between the late Takeo Nishioka of the Democratic Party of Japan, who was chairman of the Upper House Steering Committee, and Takashi Sasagawa of the Liberal Democratic Party, who chaired the Lower House Steering Committee, after the names of 28 nominees were leaked in 2007. The rule led to a 20-day delay in appointing Shirakawa as BOJ governor in 2008, during which Japan had no central bank chief. More recently, the nomination process for head of the Fair Trade Commission was disrupted Feb. 8 when the DPJ, citing the rule, refused to accept the proposed name because it had been leaked to the Yomiuri Shimbun. While the ruling coalition has been trying to change the rule, DPJ President Banri Kaieda recently said his party will be flexible in dealing with the matter. How much opposition will the nominee face in the Upper House? It is unclear at this point. Lacking a majority in the chamber, the LDP-New Komeito ruling coalition will need some help from the opposition camp, whether it’s from the DPJ, Nippon Ishin no Kai (Japan Restoration Party), or Your Party. Some in the opposition camp argue that the nominee should not be a former Finance Ministry executive, so that the BOJ’s policy decisions will not be influenced by the ministry. In 2008, the nominations of Muto as governor and Ito as deputy governor were rejected by the DPJ, the main opposition party at the time, because they were former Finance Ministry bureaucrats. Although the DPJ made an about-face by announcing that it won’t immediately reject former ministry officials, Your Party maintains that the head of the central bank should be free from such influence. Is Abe really eroding the BOJ’s independence? The willingness of a government to force a nation’s central bank to inject excessive amounts of money into the market or set policies aimed at raising inflation has been given the term “inflation bias” in discretionary monetary policymaking. To avoid this, governments grant their central banks independence. Studies show that the more-independent central banks tend to deliver better inflation outcomes than their counterparts that face more restrictions, without compromising economic growth. 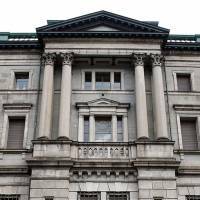 The BOJ has “goal independence,” meaning it can set its own monetary policy goals, and “instrumental independence,” which is to determine the best way of achieving its policy goals, including the types of measures and timing. Abe has been criticized for endangering the BOJ’s goal independence by pushing the bank to sign the accord that established the 2 percent inflation target. The BOJ still has instrumental independence, and Abe has repeatedly said the bank can decide for itself how to achieve the 2 percent inflation target. The next governor will be the one who has to develop this strategy. Ben Bernanke, head of the U.S. Federal Reserve, argued during an international conference in Tokyo held by the BOJ in May 2010 that a nation’s overall goals in monetary policy should be established by the political authorities. Britain’s central bank, the Bank of England, has only instrumental independence and must meet the government’s 2 inflation target. The European Central Bank, which also faces a 2 percent inflation target, also has only instrumental independence. The Governing Council of the ECB is fully responsible for monetary policy decisions and setting monetary policy instruments. Does Abe want to revise the Bank of Japan Law? Abe has been pressuring the central bank to be aggressive in pursuing the inflation target by threatening to revise the BOJ Law to make the central bank less independent. 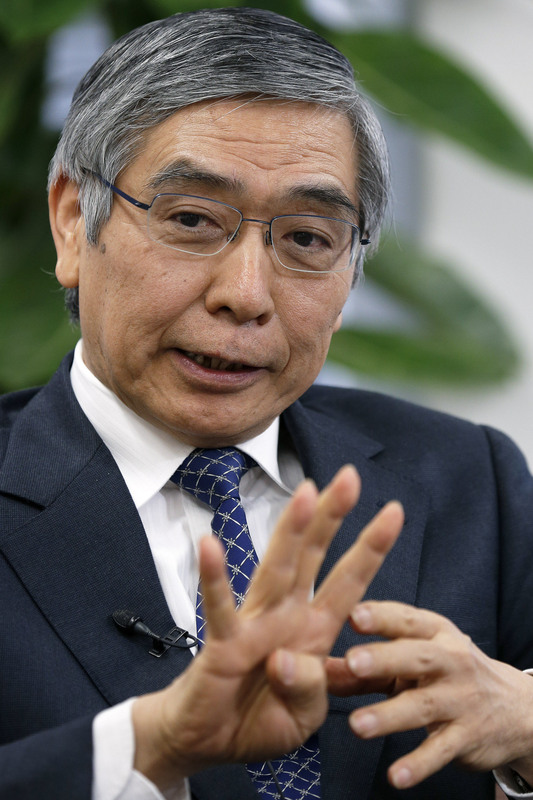 “It’s very important for the BOJ to deliver results. If it fails to do so, amending the BOJ Law will be more likely,” Abe told the Lower House Budget Committee earlier this month. The LDP already produced a proposal, when it was in the opposition camp, to make the BOJ more accountable for its policies by having employment stability be one of its goals. “Even though the BOJ adopted the 2 percent inflation target, there is no way to hold it accountable if it fails to achieve the goal,” Kozo Yamamoto, an LDP Lower House lawmaker, lamented earlier this month. Yamamoto and like-minded lawmakers in the opposition camp kicked off a study group earlier this month vowing to submit nonpartisan legislation to revise the BOJ Law this Diet session. “The 1998 BOJ Law gave the bank too much independence and freedom, which caused prolonged deflation,” Your Party leader Yoshimi Watanabe said in launching the group with Yamamoto. It remains to be seen whether the LDP and the opposition camp can agree on how to change the law, as Your Party also wants to grant both Diet chambers the right to remove the BOJ governor, which Yamamoto said the LDP is unlikely to accept.